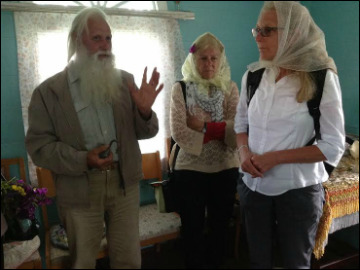 In July, 2015, Alex Ewashen, along with son Brian, participated in a Doukhobor Heritage tour. This is his narrative of the trip. 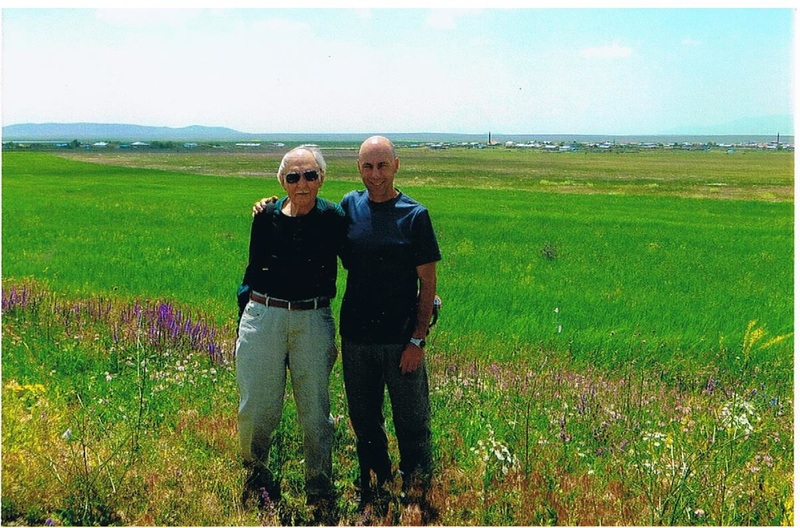 On June 27th Brian & I left on a 25 day tour of Turkey, Georgia, Azerbaijan and Russia. Here we are in Slavanka. ​Our trip started with a BANG but certainly did not end with a WHIMPER. Lisa Simanoff and Brian and I flew from Calgary to Toronto where we teamed up with Jon Kalmakoff and his sister Carrie and Verna, then on to Istanbul to meet up with the rest of the group. Upon take off from Toronto there was a heck of a racket, Brian said, "What is that? I said, "I don’t know, sounds like they may have installed rumble strips at the end of the runway". We gained altitude. I like to see the flight monitor which I turned on, yes, we are flying away from Toronto. The next few minutes I look up, and " What is going on, the plane has turned back"? About that time the monitor goes off and the pilot comes on the intercom. It seems we had blown a tire on take off and will be returning to Toronto. In the meantime there is a commotion going on across the isle, by a window seat, a man is standing up and a stewardess is shouting at him to sit down. Then we hear her saying, "We all have family". Much later we found out that he had seen shrapnel fly up and damage the wing. We are given the whole "Crash Landing" routine. Heads down, brace yourselves, ladies take off your high heels, be prepared for emergency vehicles surrounding the plane on landing, leave all personal belongings on the plane. Mothers are crying and hugging their children, fathers are trying to console their families. But we are flying and flying, we find out much later that we were dumping fuel. Upon coming in for the landing, all five of the stewards and stewardesses came out shouting, "Heads down, brace yourself, heads down, brace yourself". We landed with no problems whatsoever. It took a long time to tow us to the terminal, and some hours later we resumed our flight to Istanbul, on another plane, of course. Istanbul is an incredible city, so much history that it is hard to take it all in. The people are so friendly and they all seem to be so relaxed. Everyone seems to know at least 3 languages, but that is another story. 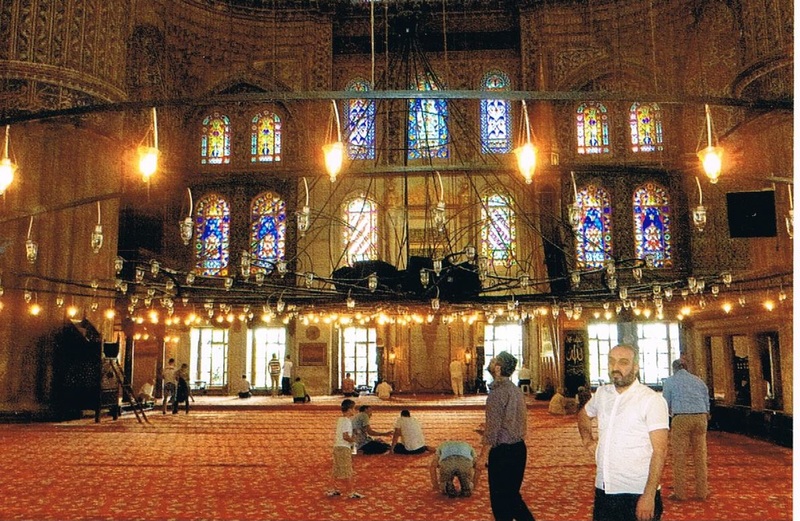 ​While in Istanbul, many times I felt that everyone should visit this city in their lifetime. I found, for a big city, it was so relaxing. Perhaps it was the solemnity of the mosques, or the relaxed people in the parks in no hurry to go anywhere, spending the whole mid-week afternoon there with their picnic baskets, the men with their shoes off. 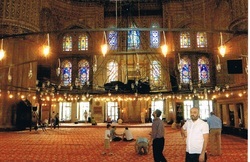 It was Ramadan so singing and chanting came on at 3.00 or 4.00 a. m. and again during the day. All the while we were there we did not hear a siren, the gulls woke us up in the morning. The sales people in a way were high pressure, but not pushy and were most courteous and gracious and brought you nice tea on every occasion. They learned a lot from their centuries of salesmanship. ​On July 2nd we drove to Terpenia, which is now known as Karahan, the first of the three Burning of Arms sites we were to see. 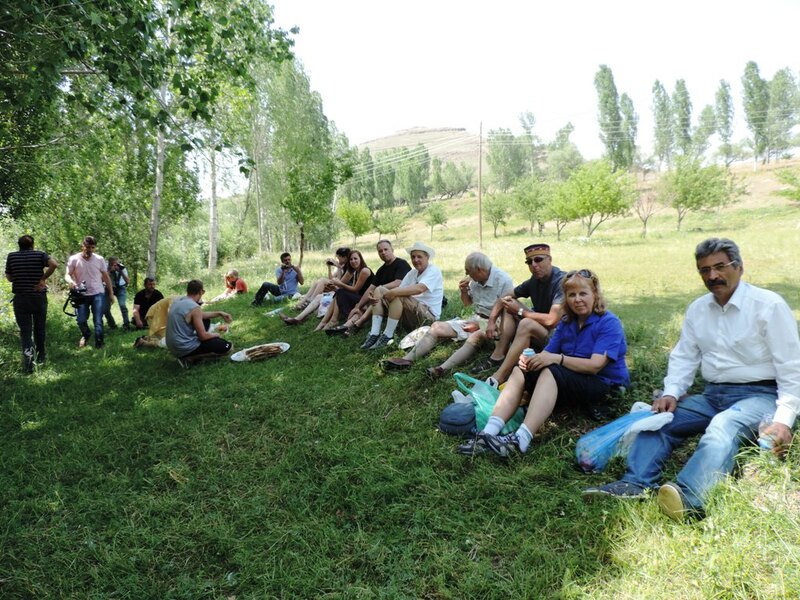 The site was on a Turkish family’s farm, and they were most hospitable and accommodating. An old Doukhobor flour mill building with the water flume still intact, but ravaged by time, was still in use, but it was driven by electric power. Just above the building site, we held a molenie. ​The burning site was up a steep hill, which those able were going to climb later, I was not going to be one of them. Vedat had arranged for a Turkish film crew and reporters to be there, and the molenie was filmed and we were interviewed, our interview being translated from English into Turkish. 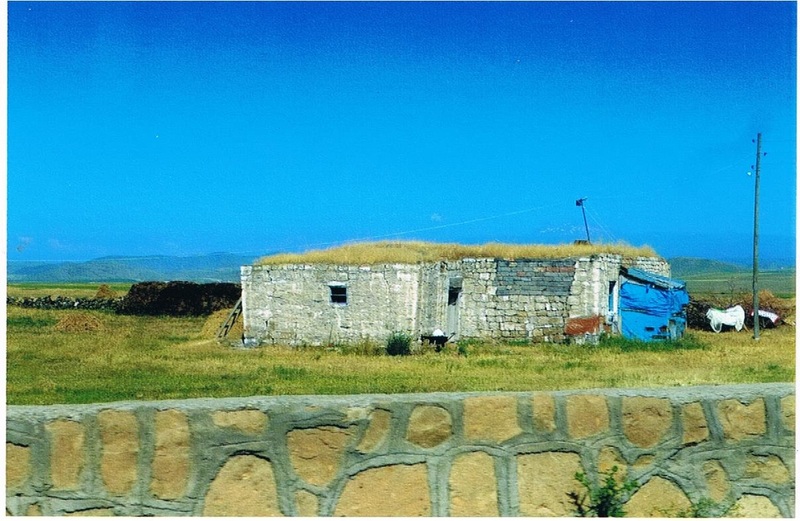 Vedat Akcayoz is a historian, and president of the Kars Culture and Art Association, and has thoroughly researched the early Molokan and Doukhobor history of the area. His wife is of Molokan heritage. He has a small museum in the back of his commercial paint and building supply shop. He has produced a very good film, "Spirit Wrestlers Doukhobors", which at one time he was interested in bringing to Canada, but for some reason he was not encouraged to do so. He arranged a showing for us in a really posh hotel. In the past 6 months or so he has written a book, "My Mom Sara And The Molokans", in Turkish, and he is now working on an English version. ​Verna had asked Vedat to arrange for a tree to be planted at the site, but instead of bringing one tree, he brought a hundred! So the group got busy planting 3 rows of trees, just above the farm site. I was not one of the crew, instead, I sat with the Turkish family on their balcony and watched the process. The family was mother, father, grandmother, and our host’s wife and their three children. We could not communicate verbally, but they made me welcome to walk through the house, leaving my shoes at the outside door of course. The floors and walls were carpeted with Turkish rugs of very good quality in my estimation, with a modern TV in the main living room. ​After my walk through, we went out to the balcony, which was also carpeted, and sat in comfortable old upholstered chairs, and watched the tree planters do their job. ​Below the rows of newly planted trees, and below the farmstead buildings, there was a good sized crystal clear creek swiftly flowing, and this is where we had decided to lay out the picnic lunch which we had brought. We no sooner laid out our spread, when our host showed up with huge slabs of fresh baked bread with buttered crust, and fresh string cheese, and a basket of commercial cartons of kefir. This Turkish hospitality was to be experienced over and over again through out this trip. On trekking up the hill, a possible 45 degree climb, a small flat area was discovered, in the centre of which was a rectangular oval indentation. 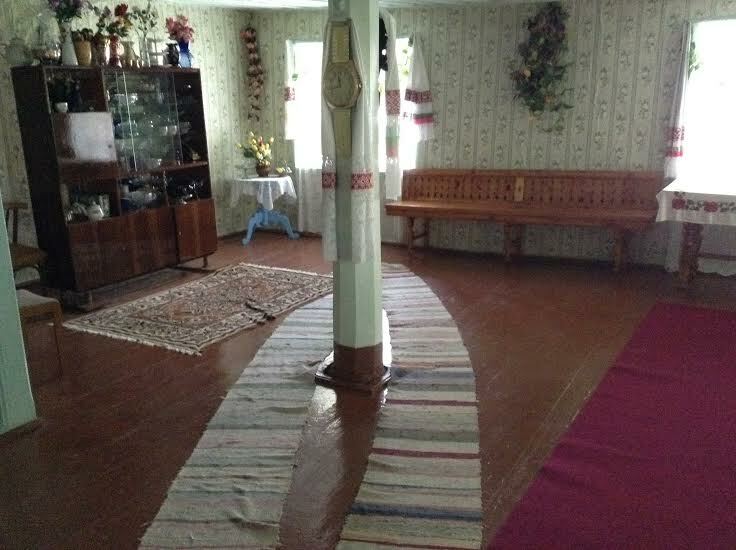 It is probable that the arms were placed in this indentation and the Doukhobors stood around the edge, singing psalms and hymns while watching their arms burn. 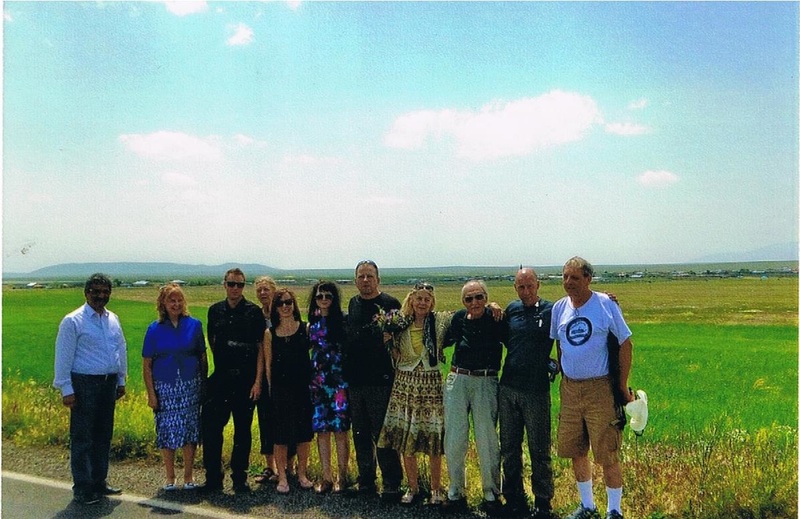 ​The next day, July 3rd, we went to three different Doukhobor villages in the area, all of course occupied by Turks. They were most hospitable, making us welcome to wander around their streets, back yards, and out buildings. 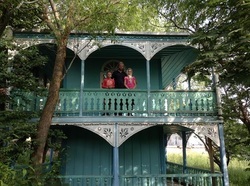 ​We were in several thatched roofed cottages, with the traditional Doukhobor blue painted carved shutters and window and door trims. It was a very hot day, but it was very cool inside. The stone foundations and walls were still in good condition. The braces and beams inside were very heavy timber, to support the two foot, or more, thick sod roof. Every home would have a big back yard, where a huge vegetable garden would be grown. There would be a creek flowing down the side of the street, and this would supply the ground water for the gardens. We were served homemade kefir and nice tea. Sometimes the women would stay to visit when they served our treats, other times they would disappear after serving us. There was always a little mosque in every village, nicely carpeted. Usually there was a balcony, and the women would go upstairs to pray, while the men prayed downstairs. The Muslims were very honoured to have visitors, and enjoyed having their pictures taken. 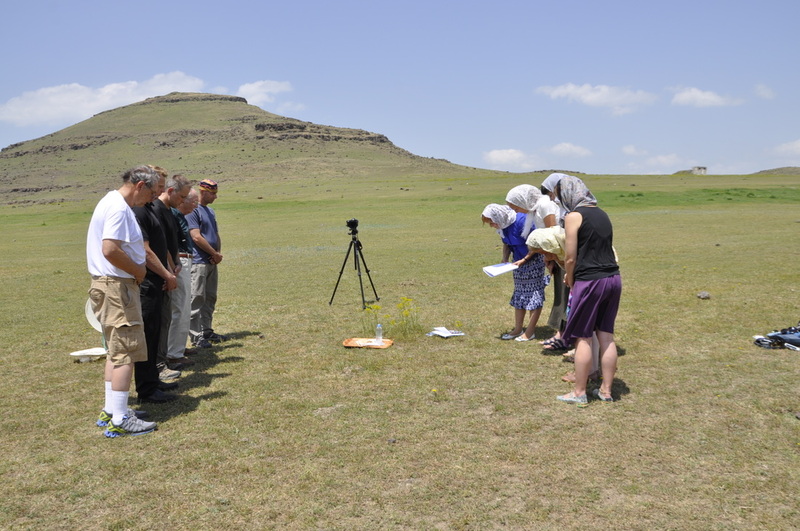 Vedat was our interpreter, so we learned about Muslim and Armenian history, not so much about the Doukhobors. 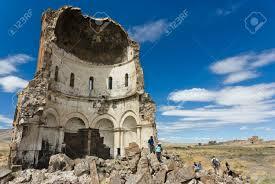 This was probably due to the fact that the Doukhobors had left before the Armenians and Muslims moved in. That evening when back at our hotel, Jon, Brian and I treated ourselves to a genuine Turkish Bath, at a facility next door, steam, deep massage, and all. A very relaxing way to end a very eventful day. ​On July 4th, at 12:45, we left for Georgia, finally seeing some trees along the way. 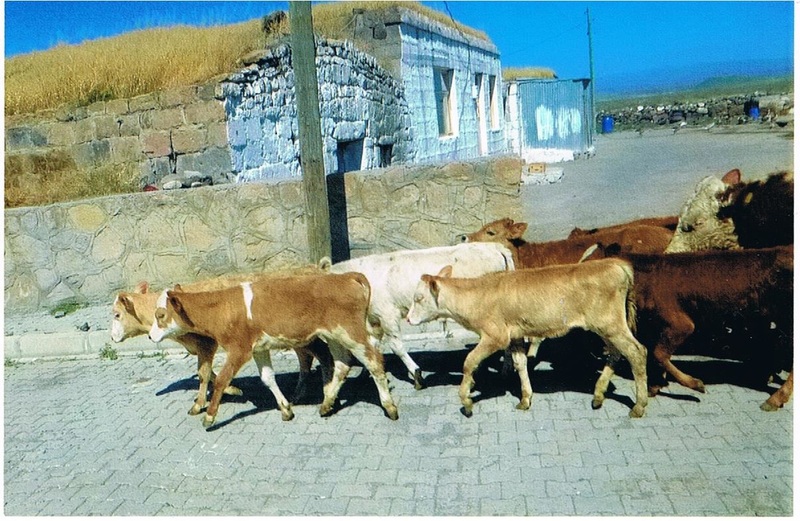 I forgot to mention that in the Turkish countryside there are no trees, all the timber was used up in the many years of war with Russia, so the main source of fuel for cooking and heat is cow dung pies, which are stacked in long rows three or four feet high everywhere. At the Georgian border we had to unload all our luggage a long way from the check point entry, the bus had to go ahead empty, and we had to lug our luggage in the heat. I was loaded down with my medications, and lo and behold the customs found a drug that was not allowed in the country. It was a pain killer that I could live without so I said, "Take it and let us go on our way". "No, we can’t do that", they said. We were detained for hours, a police car had to come out some 30 or 40 km and I was taken to the police station, our bus following behind, Brian could not come with me. I was interrogated at length, with a Georgian-English interpreter, and had to sign a statement that everything written down in Georgian was true and correct, (how did I know what was written there?) My passport was taken away, and was not to be returned until my drug was sent away to be analysed and the results in, which would be 3 or 4 days. We were not able to leave for Bogdonavka, now known as Ninostminda, until after 10:00 P M, arriving at our destination after 12:30 A M.
It was a stressful drive, the signage was very poor and we didn’t know where to go. That night Lisa got very sick, and had to be taken by ambulance to the hospital the next morning and put on intravenous. We were treated to homemade kefir on several occasions in the villages we had visited, and that may be what caused Lisa’s problem. Verna's contact, Yuri, was waiting for us at the hotel. Yuri Vladimirovich Strukov, would be our constant host and guide during our visit in Bogdonavka and Goreloye. The next day, being Sunday, there was a molenie molenie, (prayer meeting) at 6:00 in the morning. The reason for being so early, was the ladies had to milk cows later, and that was the routine. We got up at 4:30 to prepare. Our driver drove us to the village of Goreloya to the complex of Sirotskii Dom where the prayers were taking place. Yuri was there to meet us. ​At the entrance to the yard we were instructed to bow, then before entering Sirotskii Dom we bowed again. Even though we were about fifteen minutes early, four ladies were already singing psalmi. No men were singing. We bowed again and took our places. Three psalms were sung in their entirety; then prayers were recited, and the traditional bowing and kissing took place. We found it odd that the Otche was not sung. When the congregation was starting to break up I announced that we would like to formally greet our hosts and pass on greetings from the Canadian Doukhobors. When we stood before the group and said, "Slava Hospadoo" they did not know how to answer back in our way. We were warmly welcomed, everyone introducing themselves, and asking if possibly we knew anyone by their name in Canada. ​At the molenie we met Nikolai Sukhorukov, a prominent elder of the community, he had a long flowing white beard, and we would go to his place for tea. He was called Kolya by all. His was a unique place. He had a huge garden, he was very much into herbs, and the whole yard was herbs and tea grasses. There was a small cold creek running through the yard. This was used to keep vegetables cool, for drinking water, and for rinsing off the china. He has developed this place so that visitors could come to stay and visit, as in the past, free of charge. He had a trunk full of traditional clothes for men and women so that guests could dress up. In the house was a spinning wheel all set up with wool, ready for you to spin. There was a traditional petch (oven) in the little kitchen. Outside there was a brass water container hanging to warm in the sun, with a push valve on the bottom which you pushed up to wash your hands. Across the creek there was a large round table built around a big tree, the trunk coming up through the middle of the table, and this was where the "tea" was set up. This was a communal effort, with several ladies hosting. ​And did we say "tea"? We had three different kinds of fresh bread, flat, regular white and brown, cucumbers, onions, tomatoes, kale, cherries ,apricots, peaches, and apples. There was a cold syrupy herbal drink, and a tea made with a big clump of grasses and herbs, and home made dark yellow butter. ​It was here that we met Tatiana Vladimirovana Markina, she had been at the molenie, and she would become our foremost host and companion with Yuri. She is a geologist and ecologist and works in the oil industry in Western Siberia, but every summer she comes to Bogdanovka and lives in a home her uncle used to own. She really did not know Yuri until this year, and they have a unique relationship. Tatiana’s brother died six years ago, and Yuri offered to be her brother, in turn Yuri said, "I have never had a sister, but if I did, I would want her to be like you". So they are "Nazvannaye", [named], brother and sister. ​​​After our tea, we walked back to Sirotskii where we boarded three cars to drive to a spot where Lukeria, (Lushichka), used to come to meditate, it was also called Lushechkin Khutorok, it was marked by a vertical rock cairn. We were told not to touch it, but only to kiss it, which most of the locals did. A couple of the older ladies referred to this site as Lushichka’s summer home, there was evidence of some ancient foundations. The drive there was extremely hazardous, deep, deep ruts and rocks, the road never being maintained in any way since first traversed. Some hills were very steep, and we had to wind our way up, and two cars got lost, so Brian, Tatiana, Hannah, Linda, and Jon had to walk to the location. Yuri had a Subaru, and he hit a rock, puncturing his oil pan and losing the oil. He had to phone a friend to come out and tow his car and passengers back home. We drove through many miles of rich virgin grass, which at one time grazed many head of Doukhobor cattle. On this day we saw in the distance two sheep stations, with very vicious looking wolf hounds warning us to keep our distance. Before our molenie began, I noticed a lady who looked rather familiar, and she was glancing at me, so I approached her. She turned out to be Svetlana Inikova, the Russian ethnographer. Many years ago she and Koozma Tarasoff visited in our home in Creston. She would be part of our entourage throughout the rest of our visit in Bogdanovka. 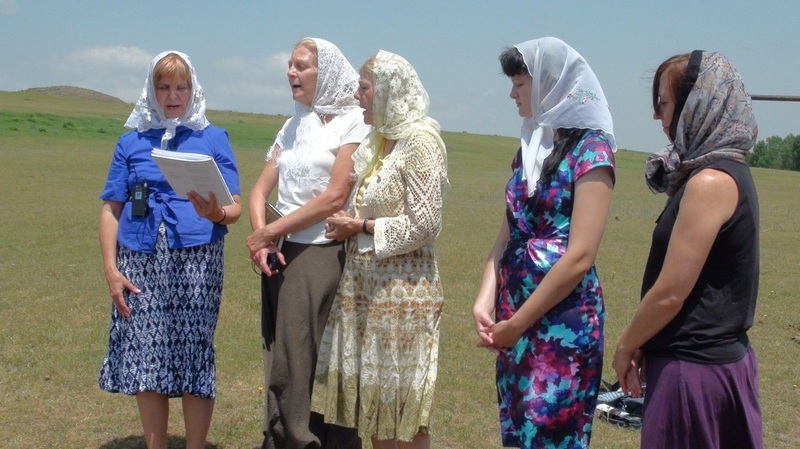 Our molenie (prayers) again consisted of long psalms recited and sung by the same women who were at the morning meeting, a couple of prayers were said, and then the cloths were laid and the lunch was spread. Most of the food was brought from Kolya’s, but there was additional chicken and nice smoked fish. I recited the short Otcha [meal time prayer] and we proceeded to enjoy our lunch and fellowship. Supper was to be at Yuri’s. 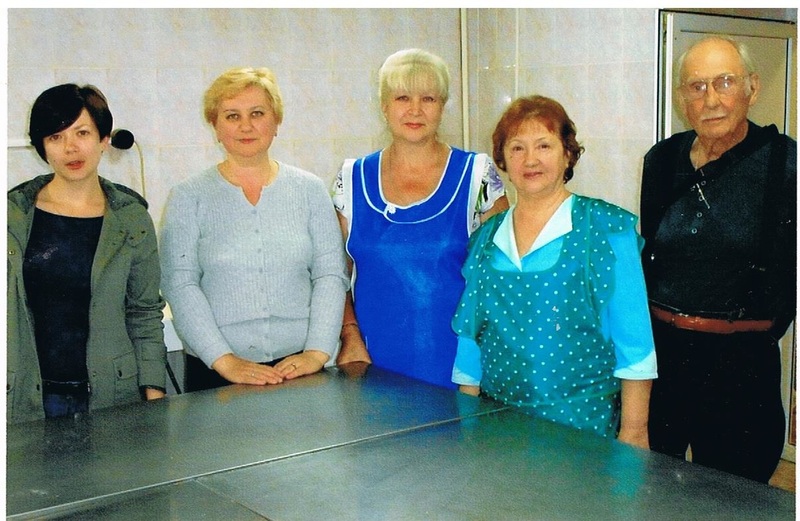 When we arrived, Yuri’s wife and mother-in-law were busy making pirogi, in a traditional petch,(oven). They were big, thick and beautifully baked, coming out of the petch on a long handled wooden paddle. They were potato, cottage cheese, and lamb, the dessert ones were filled with plum. The supper had all kinds of trimmings, including vodka and brandy liqueur. Yuri has four children, Nina, Dasha, Nikita, and a baby whose name I forget. They are a very close and devout family, the children knowing their pasalmi and rituals. After supper as a kind of "Thank You", I sang The Coachman’s Lament, (Kolokolchek). This started a real sing song, Yuri and his children sang very well, the oldest daughter sang a solo, she is studying music in school, Andrei Conovaloff led a song, our hosts and their friends sang a number of songs. At this time I might mention that there were two Armenian fellows with us all day, and they joined in everything and sang well. We found it a bit odd that the Doukhobors did not seem to sing any stikhi [hymns]. Yuri’s daughter Nina had the most beautiful blue eyes, so I sang her "Lublu ya glaski galubyia". I was asked several times what I did for a living, but nobody could understand what an auctioneer was, so I demonstrated, selling off a watermelon, chanting in Russian. Jon, Verna, and Brian were doing the bidding, so the watermelon sold for a big price. It was a wondrous day and we returned to our hotel. Hannah, Linda, Verna and Brian walked to the hospital to see how she was. Lisa had made a good recovery, and was a great hit at the hospital. It was deemed that she was ready to be released, so a nurse who had grown very fond of Lisa took her by the hand and walked her to the door. The staff also wanted a photo-op. Our bus driver had been at the hospital all day, so he drove everyone back to the hotel. It was there that he announced that he had to go back to the Turkish-Georgian border because of problems with his visa. He said he would return at 2:00 or 3:00 o’clock in the morning. He did not return. ​Verna received an email from her contact in Turkey, that upon arriving at the border, our driver was beaten up, fined 7000 Turkish, his passport was stamped 'Deported', and he was now hospitalized. In a later communication, it seems when we were given a hassle at the border about my meds, our Turkish contact contacted the Canadian Embassy, which upset the Georgians and they took it out on the poor driver. So here we were, no bus, no driver, and out the $2000, U S we had paid up front for the whole trip. While the dilemma was to be sorted out Yuri arranged for cars to take us to Kholodnoye, the Burning of Arms site and the Peschera. ​At ​​Kholodnoye, [Orlovka] we saw cattle being herded along the top of a knoll, this would be the knoll over which the Cossacks came charging to disperse our forefathers gathered at the burning, praying and singing their psalms. At the ​peshchera we saw the ancient prayer chiselled on the face of the rock, and the brass plaque placed there by the USCC in 1966. 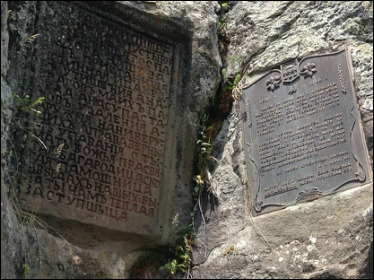 Yuri pointed out the word "Doukhoborits" inscribed on the rock, his take on it was, that no one wrote it there, it appeared divinely. This was also the case of two coloured flowers. The other divine "Happening" was a faint print of a palm, which Yuri claimed was Christ’s. We were asked not to touch these areas, only to kiss them. We all crowded into the little sanctuary (grotto) where Lushichka used to meditate, and we said little prayers in our own words. On the site was a large very lush willow tree. Kolya, the biologist, said that if you broke off a twig in a certain way, it would take root, so we all did this, planting our twigs in the marshy low land along the banks of the Bagdasheni River. We spent quite some time here absorbing the Divinity of this special place, finally making our way up the cliff to where the cars were parked. Table cloths were spread, I again said the Otcha, and we broke bread with our friends and hosts. We then walked over about fifty metres to the Burning of Arms site, which was quite evident and had a photo-op. Thus ended our pilgrimage to this sacred spot of our Doukhobor ancestry. 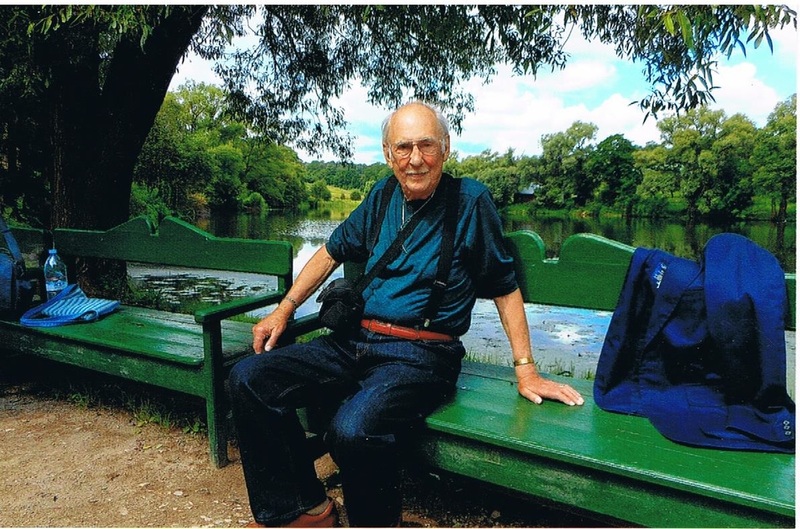 ​The next point of interest would be Lushachka’s, and Peter Illarovich’s family cemetery, it was plainly called Mogilichka, (grave), which was situated in the midst of a large prairie field of thousands of exotic flowers waving in the breeze. Hannah knew the names of many of them. Before entering the cemetery yard, we stood and bowed before passing through the gate. The plot was very overgrown with tall grass four and more feet high. In the midst of all this tall grass were 6 or more large crypts, one of which was Lushachka’s. ​The various inscriptions were easy to read. I’m sure Jon has them all documented. One top corner of Lushachka’s crypt had a slight damage to it and Yuri had an interesting story to tell. 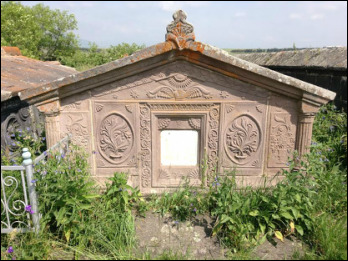 A Doukhobor who became a rabid Communist took it upon himself to deface the crypt attacking it with a crowbar, the bar glanced off striking him in the chest, killing him on the spot. Yuri told this as if it was a divine act. ​The next stop would be back to Bogdanovka, and the village of Goreloye to spend time at the Sirotskii Complex. The Besedka was a living room office, for important receptions to receive special dignitaries. It was furnished just as Lushachka would have left it, quite plain and simple. We again had to bow before entering, which we also had to do before entering the grounds. The Sirotskii Dom was a large building, with a large prayer area, and several rooms. 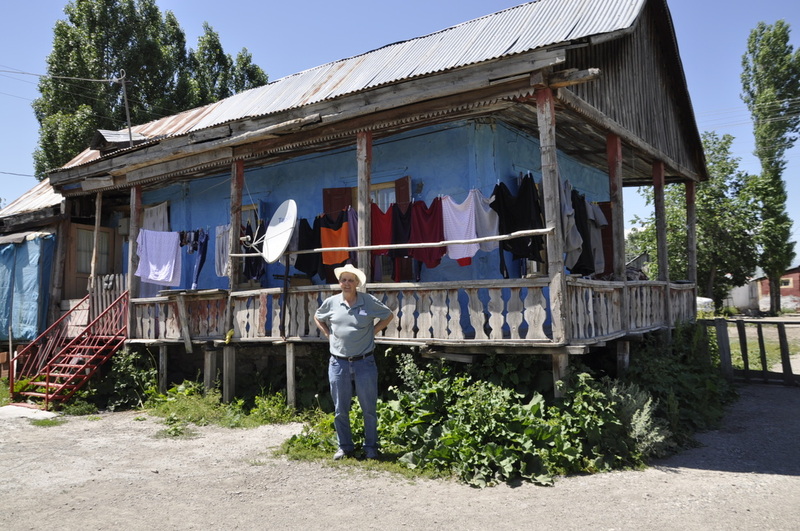 It was from this place that all the Doukhobor businesses would be conducted. It had four or five petches, which were used to heat the house in the winter. The interior walls were as thick as the exterior, about two feet, this was so the heat would be absorbed in the winter and in summer the heat would be kept out. The buildings and stone wall surrounding the large lot were all in good repair. ​The late afternoon evening dinner was again at Kolya’s. Yuri’s family made a huge pot of spring borshch, which was brought from his house to Kolya’s, and set out on the round table under the tree. Everything that you could imagine from the garden was there, plus huge platters of breads, and the garden tea was exceptional, many of us had five or six cups. When it was getting dark and chilly we moved inside. Here we all introduced ourselves at length. A couple of Armenian boys had interesting stories. Brian and Lisa dressed up in traditional clothes from Kolya’s trunk and Lisa tried her hand at spinning wool. Brian remembers a comment one of the Armenian boys said. 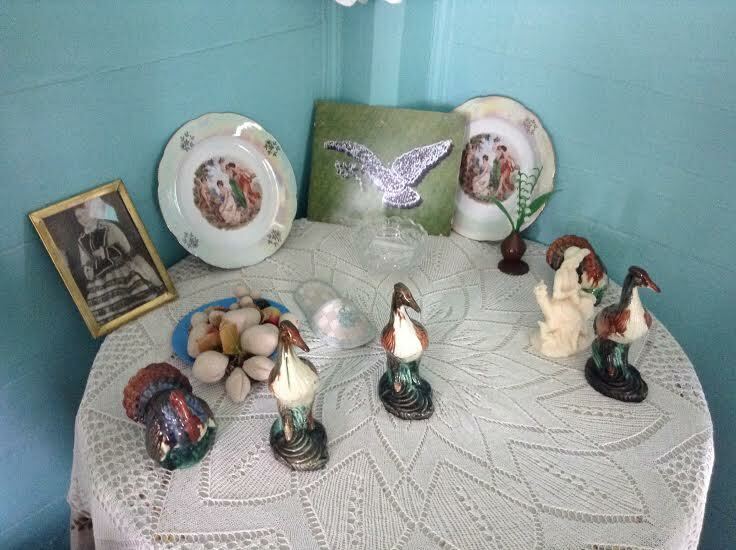 "I am not a Doukhobor, however a Doukhobor bullet has entered my heart." ​This documentary is entitled, "THE LAST DAYS OF TOLSTOY’S PEOPLE". ​July 7th, we are ready to leave for Tbilisi, but we had no van or driver. Brian and I went searching for a restaurant, finding one on the third or fourth try, all others were closed. We found Hannah and Lisa finishing their breakfast. We had an omelette, and bread, honey and cheese and great Turkish coffee, and left for our hotel. And what did we find there? Miracle worker Verna had done her trick and there was a new bus and driver, sitting in the parking lot, not only that, but she managed to get most of our $2000. U S refunded. Yuri, Andrei, and Tatiana were waiting for us. ​The drive to Tbilisi was very scenic, a mountain road with many curves and valleys. We stopped at the town where my passport was seized, it was there waiting for me. Apparently the day before Tatiana had phoned some administrator she knew and he assured her that the passport would be there when we got there. Upon arriving at the outskirts of Tbilisi at a gas station a young man hopped into the van to give directions to the driver. A short time later, at an intersection, our driver hopped out, gave the man a hug, and the man got in the driver’s seat while our driver came back to sit with us. How accommodating can people be? How could all this help be arranged? ​Very shortly we were at our hotel. Our hotel was quite new and very posh, and the staff were so kind and helpful. That evening, Hannah, Linda, Jon, Brian, Lisa and I walked into the down town area to take in some night life, and have some drinks and food. We came upon an outdoor bar with a great band playing North American music. It was very crowded, but Linda and I managed to have a dance. The walk was a bit of an effort for me, so we hailed a rather small taxi to go home. I jumped into the front seat, and other five squeezed into the back. Five! It was quite a riot, the driver was incredulous that a bunch of "adults" would pull such a stunt. 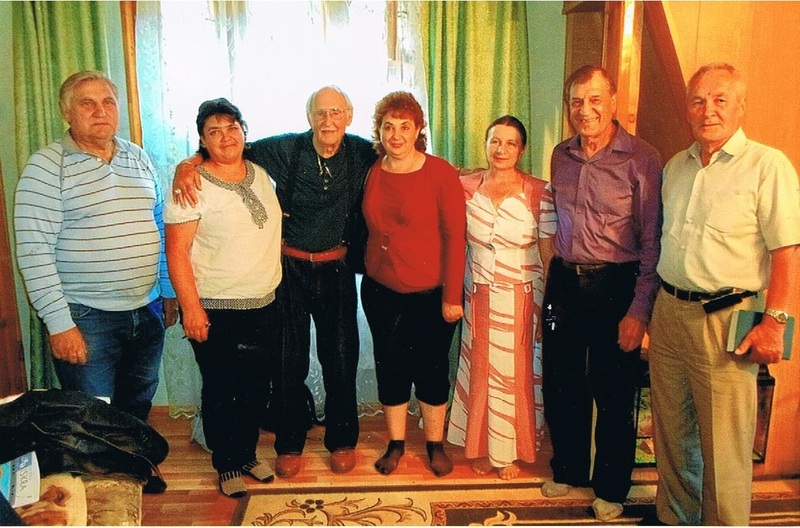 The next morning, July 8th, we met with Yuri and Tatiana at the hotel, and a bank account was arranged depositing the Canadian Doukhobor donation for the Georgian Doukhobors. The main goal was to buy a tractor before the imminent haying season. Yuri looked around for one but could find nothing suitable. Apparently the government would provide a 70% grant on top of money available for agricultural purposes and Yuri was going to look into this. ​At this point it was time to say our goodbyes to Yuri and Tatiana. This was hard to do as we had grown so close in such a short time. Brian and Tatiana have been keeping in touch since we came home, and even though Brian knows no Russian, and Tatiana knows no English they have been communicating by Google translations, and we now know that Yuri has found a good used machine and the money has been put to good use. Congratulations Verna for a job well done! Brian and I decided to go on a bus tour of the city, and the front desk was most accommodating, arranging everything, even reserving the best seats on the bus. When our pick up did not arrive at the specific time the clerk went out and hailed another taxi for us at no charge. Lisa decided to go with us. The bus company suggested booking the river cruise also, which we did, and it was a good decision. The boat had a Georgian band playing, and dancing, and a very nice Russian lady who danced the traditional Georgian dances, and sang very nice Russian songs. 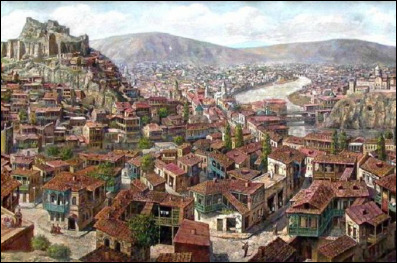 Tbilisi is an amazing very old city, with the most impressive architecture. The wall that surrounded the city was built in the 5th century. 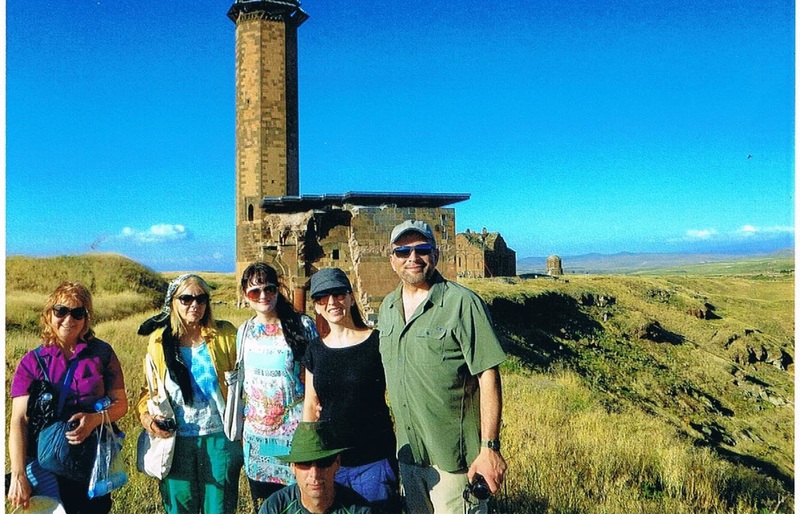 ​July 9th: Next destination Azerbaijan and the Doukhobor village of Slavyanka. This was to be of special interest to Brian and I as this was the village where the Ewashens lived in the 1840s with seven or eight thousand other Doukhobors. 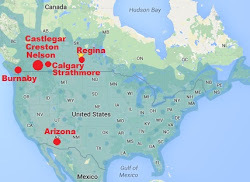 The landscape was very much like that of the Cowley, Alberta area only 10 fold or more in size. The site of the Burning of Arms was not pin pointed in history, the only thing written down was that there was a mineral like sour tasting spring, which tasted a bit like lemonade, also it was near lush fruit trees. Not knowing anyone in Slavyanka, we stopped at a convenience store and market to inquire if anyone knew any Doukhobors, and we hit the jackpot! There were two young Armenian or Turkish fellows who immediately got on their cell phones, and before long three or four older gentlemen arrived. We were celebrities. In minutes the street was clogged in front of the store. In short order melons were fetched from the market and a huge metal platter arrived, and was set on the hood of a car and the melons were sliced. Yes, they knew of such a site. When the melons were cleaned up four of the elders and the two young fellows boarded the bus and we headed out. On instructions from one of the fellows we stopped at a residence to pick up a very Doukhobor looking sixty-seven year old lady, her name was Maria Pavlovna Strelioff. She was so very touched to see us. After visiting in her yard with two grand daughters, we all got into our bus and proceeded to the site. The spring was there, a pipe coming from a bank, a good strong trickle. It was a very popular spot, there were a half dozen cars parked, filling up all kinds of containers, one Mercedes had a trunk full of pop bottles. Perhaps he was selling the water. There was not much evidence of an orchard, but the Chernoff lady said she remembered some fruit trees in the area at one time. This must be the place! But we were soon disappointed, our hosts said there were other such springs around. So nothing was determined conclusively. At one point I talked to this lady on my own, asking her about the Burning of Arms. She said, "I remember hearing something about it". But she knew nothing else. I was so surprised, how could she not know all about it? I asked her if they had any molenies, and she said they did not. At times she would pray on her own. Jon and Brian climbed a steep hill reporting that it was a spectacular view, with many different crops including large fields of cabbage. This site was across the road from a rather large resort centre and I met a rather sophisticated family from Ukraine, very well dressed in western attire and speaking good English. They were very pro-American, saying the US was more progressive, and they wanted to be part of it, rather than Russia. The next morning, July 10th, the two young Armenian fellows we first met at the convenience store took us to see two very old cemeteries, very much neglected. The fencing was down, allowing cattle to wander through, very much overgrown with weeds, bushes and scrub trees. There were many familiar Doukhobor names on the headstones, and Jon and Andre took many photos and many notes. 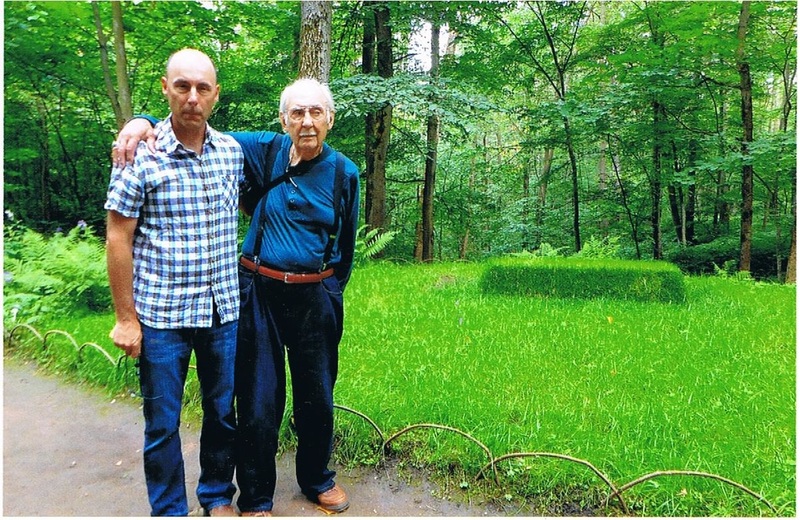 ​One Armenian fellow asked how many Doukhobors there were in Canada, I said probably twenty thousand, and he said, that if they all donated ten cents these cemeteries could be well maintained. That’s food for thought, eh? We travelled to another water source, still searching for that possible site where the Burning of Arms might have taken place, it was where Slavyanka got it’s water from, but it didn’t look too promising. Our final stop before leaving for Tbilisi was the market where we had met all our contacts, we wanted to hand out some gifts and say our thank you to those who were around. We were given a big watermelon, and an Armenian invited us to his home for tea, but because we were on our way we had to politely decline. Going back through customs we again had to part with some money, they sure had us figured out as an easy mark. Our driver said that he will never travel to Azerbaijan again. We had a nice restful trip back to Tbilisi and our hotel, very happy about our experiences the last couple of days. On July 11th we got up at 5:00 o’clock to prepare for our flight to Moscow at 8.00. The arranged shuttle did not arrive, so the desk clerk phoned for two taxis, for which the hotel paid. 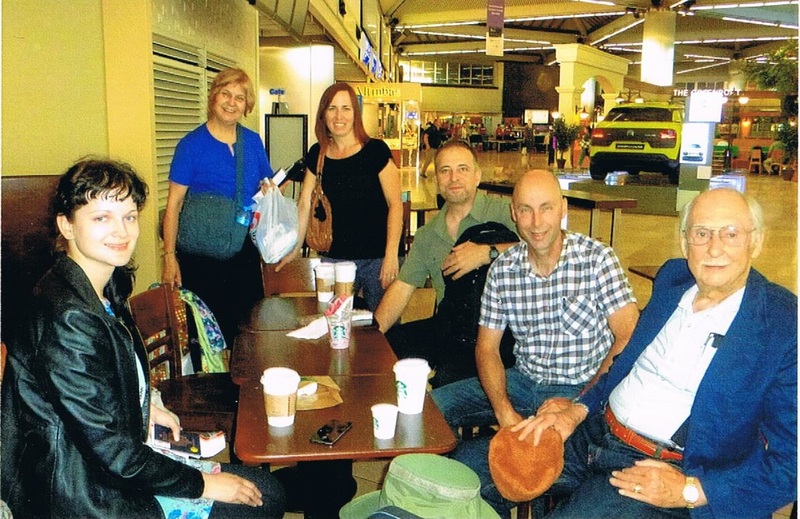 ​The airport, Vnukova, was some distance from Moscow itself, it looked new and was huge; after a lot of confusion we found a bus that could barely fit us all in with out luggage, to take us to the train station to get to Moscow. After a lot more confusion we were able to board the train to take us to down town, from where we took a cab to our hotel. 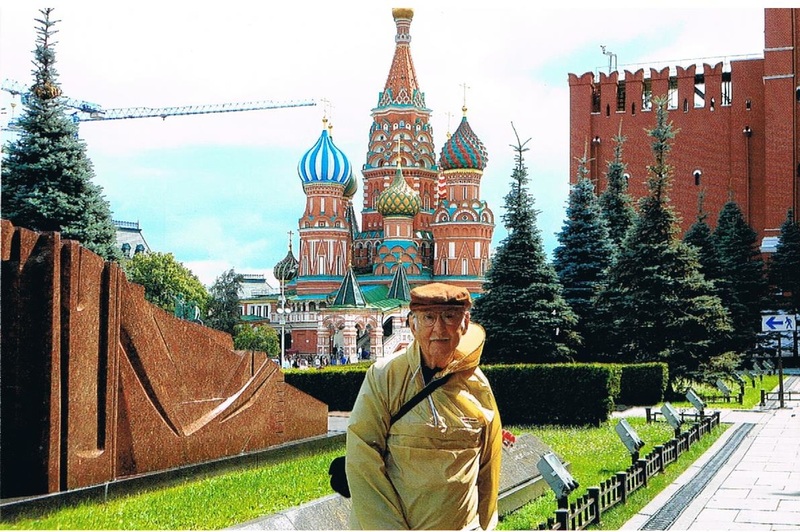 The next couple of days we spent mainly visiting the Red Square and the Kremlin and Lenin’s Tomb, it is said that he has embalming fluid pumped through him 24/7. ​​​We also visited two Russian Orthodox Cathedrals, where services were being held, St Basil’s Cathedral, where we heard a quartet sing with no electronic amplification, and their voices resonated throughout the entire cathedral. 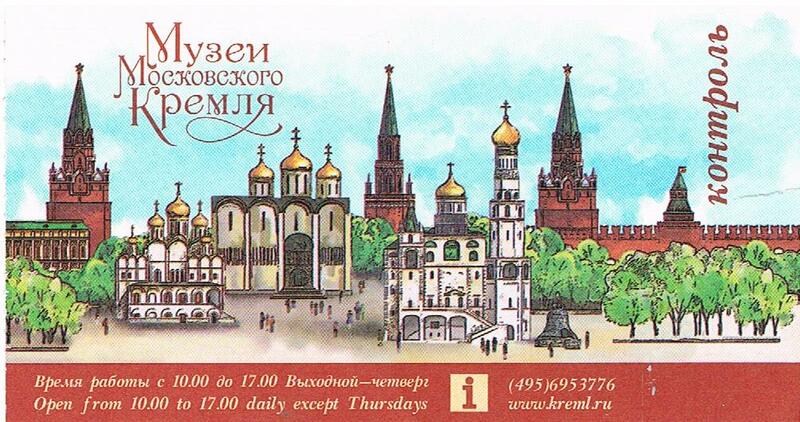 Brian, Hannah and I visited the Revolution Museum, which featured Russia’s history from the days of the Revolution. The State Museum was huge, consisting of four floors which feature the beginning of Man through to the 1800s. We lunched at the Gum, very expensive. When we got back to the hotel, we all decided to treat ourselves by having dinner at Pushkin’s Restaurant. We gathered many glances, because we were far under dressed. Throughout the entire five or six course meal, the waiter kept very busy shuffling plates. On July 13th we took the train to Yasnaya Polyana. The train station was as large as many airports, and as complicated. After many complicated manoeuvres and a long walk along the station platform, we got to our car. It looked like a completely new train, including the locomotive. The cars were like an airliner, monitors in the back of the seats, buttons to push for service, and a squeaky clean stainless steel bathroom. A long way from the day when they had corn cobs in the toilet for you know what. We were served snacks and drinks, and it was a very smooth ride. You didn’t hear any clickety clacks. Our bus was waiting for us at the Tula terminal. We checked into the gostinitsa (hotel), the room was old fashioned, with a large bedroom, sitting room, and a very nice bathroom. When Verna was making the booking I told her that I was not supposed to pay for my accommodation because I was on the committee with Alex Jmaeff to build the Centennial Bakery, sure enough, Brian and I didn’t have to pay. That evening we had fun ordering our supper. There was no menu in English, only one sheet of tattered foolscap between us all and the waitress had trouble understanding our funny talk. Still we ended up having a good meal, and a lot of comradeship. Our tour of the museum was supposed to start at 10.00 o’clock in the morning, but for some reason our guide was not able to pick us up so we had to walk. It was over a 30 minute walk and I found it quite tiring. Walking up a long pathway Brian and I thought we saw a familiar figure, sure enough, it was Galina Alexeeva,, walking straight towards us. What luck! Five minutes difference in time and we would have missed each other. After hugs, we reminisced, and brought each other up to date. 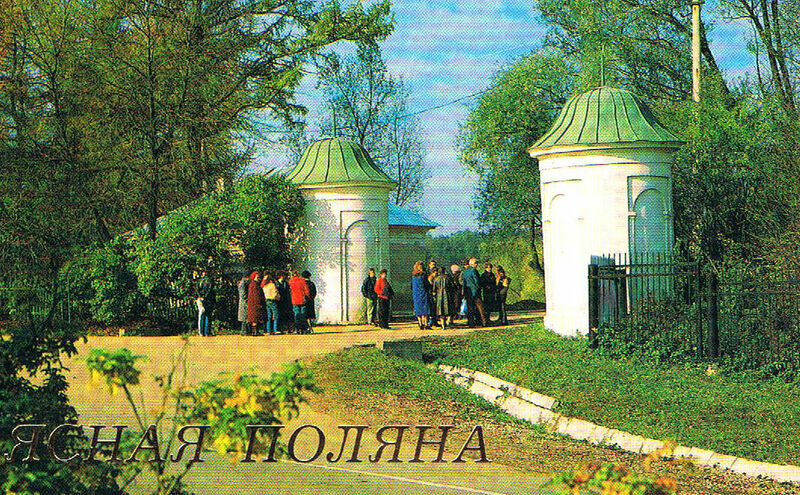 Galina’s latest project is establishing Yasnaya Polyana as a UNESCO world heritage site. Her daughter Vika is living in Italy, she has two children and is teaching Russian in a university. I signed my book for her, "Rags to Riches - My Way". Galina is still travelling all over the world. 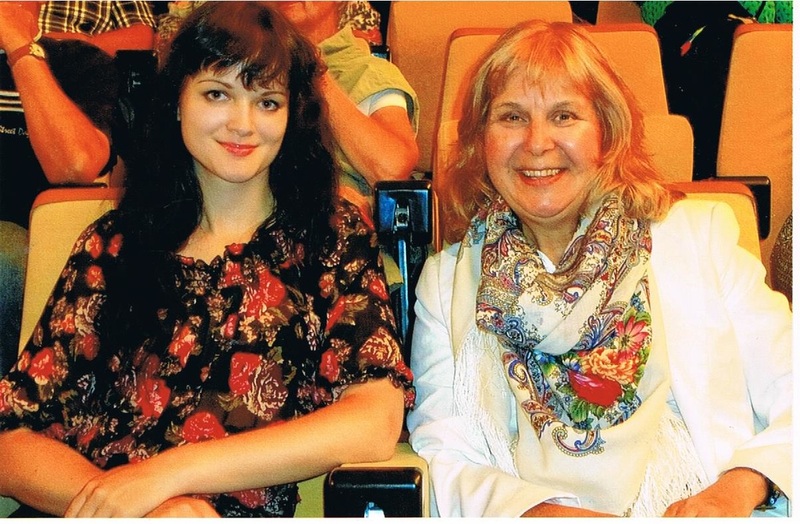 When I introduced her to our crowd saying "Galina lives in Tula", she corrected me, saying, "I live in the world.". We only had a ten or fifteen minute visit because she was on her way to a meeting. The museum visit was far different from when I last visited there. We had to buy tickets, put on slip-ons over our shoes, not touch anything other than the hand rail, and strictly no pictures. After our tour, we walked the dirt path, which was being swept clean by two ladies with corn brooms to Tolstoy’s grave. We gathered in a semi circle and together recited the Otcha, wishing our benefactor "Vechnaya Pamet". The Bakery that the Canadian Doukhobors built did not turn out as we planned, but I hasten to say that it is a very viable operation. Our plans were to have it like the Creston Bakery, where the public would drop in to have coffee or tea and a snack or lunch. The Bakery is in the basement of the building and everything is made to order. Four permanent staff come in at 4.00 in the morning, and by 11.00 the shelves are bare. When Hannah was there one lady took out five pizzas. Bread sales are big, and it is very good bread. 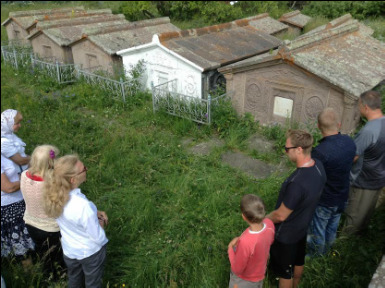 On July 14th, at 3:15 in the afternoon, we left for Arkhangelskoye, which would be the last stop of our momentous Heritage Tour. The country side looked a lot like the Cowley-Lundbreck-Pincher Creek area, except for the mountains. The bus driver told us there were two Arkhangelskoyes, and he didn’t know which one we were going to, he no sooner said this, and there was Fred Plotnikoff in his car parked at an intersection. The reception awaiting us at his home was out of this world. A long table overflowing with bowls and platters with multi varieties of food, which Paulina, Fred’s wife, kept refilling before the dishes were half empty. A Chernenkoff family, father, son, and daughter-in-law from Levnia, a town about two hours away, brought wine, vodka and liqueurs, and kept refilling our glasses. They wanted to inquire about relatives in Canada. ​Later four more guests arrived, one of which was Volkov, originally from Chern, who organized the settlement of Arkhangelskoye. After we were thoroughly stuffed and thought we were through, Paulina brought out huge bowls of lapsha. ​At about 9:30 Vasili Somorodin arrived to take Brian and I to his place to stay over night and visit. 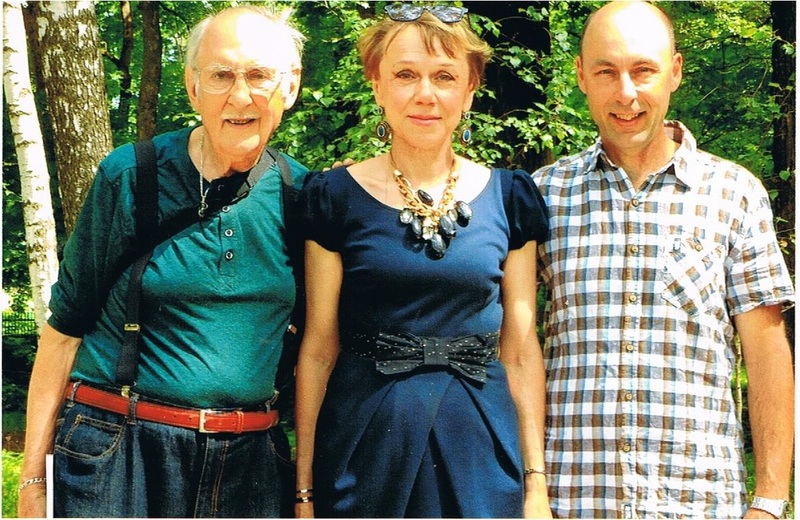 Vasil and Vala were our hosts when Julie and I visited with them in 1995 with the Voices for Peace International Tour. We arrived to find their table set with all kinds of "Good Things". We could not help but enjoy ourselves, a couple of toasts of vodka made from grapes helped spur on our appetite. Arkhangelskoye is not what it was in 1995. Upon entering their house we found a fully modern kitchen, factory cupboards, a new kitchen stove, big fridge, and an upright deep freeze. Before leaving on our trip I wanted to buy some nice soap for gifts, thank God I didn’t get around to do so. When I went to the bathroom I found a new front load washer, with about six different kinds of shampoo sitting on it. And believe it or not the shower was digitized, you punched in what temperature you wanted. There were three different shower heads, a rain shower over head, another mid way up the wall, and a hand held one. There is a very comfortable fold out seat if you wish to sit down. In conversation Vasili said Vala wants to modernize the bathroom, I was incredulous. "How could you possibly get something more modern than this", I said. Vasili said, "It’s her money and she wants to do it". Vala has a very good cheese making business. The floors in the house are laid out with quality Turkish rugs, and where appropriate, rugs were also hung on the walls. In the living room was a forty inch TV, computer, and a CD and DVD player. I had brought a new deck of cards with a maple leaf for a gift, thinking they would like to play a game of "crazy" sometime. "No, when we play games we play on the computer", Vasil said. After breakfast we walked about the garden and out buildings. The garden is huge with several fruit trees and lots of grapes. In the barns they had chickens, a sow with piglets, and a young calf. There was a nice 2008 Toyota in the yard. Most all the men work in Moscow, working there for twenty days, and coming home for ten. Vasili is one of these workers, he drives a freight transport in Moscow, working twenty four hour shifts. He picks up the unit at 2:30 in the morning, drives to where the freight is and goes to sleep for 3 or 4 hours while the freight is being loaded. When loaded, he drives to his destination, then goes to sleep while it is being unloaded. He then drives back to his terminal. ​Vassili and Vala would like to get more land and cows so they could make a living farming. On the way back to Fred’s to leave for Moscow we drove through out the village. Most all the homes were very neat with nice flowers in the front yard with brick or cement walk ways to the presentable front door. There was a nice big school which Brian wanted to see, lucky for us the principal was outside so he gave us a tour. The school was built for one hundred and twenty students, grades one to eleven, and was quite modern, smart boards, white boards, black boards and projectors, but now there are only sixty-five students. I asked Vasili if they held molenies (prayer meetings), and he said, "No, they did not". They have a nice big community hall, which we saw, which they use for weddings and funerals, but the prayer home is very small, a trailer type, which only holds six or seven people, where older folks sometimes get together. ​We spent three very busy days in Moscow, taking in a bus tour, a river cruise, a concert at the Cosmos, more Cathedrals, and shopping. On July 19th we were homeward bound, feeling very good about this most incredible trip, but feeling very happy to be going home. It is another world out there which our media tells us very little about. In our travel through villages, towns, country sides and the streets of cities we found that Putin was well respected and admired, and that Moscow was the centre of that part of the universe. Besides being a very popular tourist destination, (one of the most expensive cities in the world), people from Turkey, Georgia , Azerbaijan, and of course Russia go to Moscow to work, they work 20 days there and come home for 10. Moscow is a hive of activity everywhere. We came into Moscow from 2 different directions, and there are new 4 and 6 lane highways leading into the city. The streets are clogged with BMWs, Audis, Mercedes, Volvos, Cadillacs and every other American and Japanese car. Men in silk suites and shiny brief cases hurry by, too preoccupied on their I phones to give you a smile or a glance. I could have spent my entire time sitting on the street photographing the different ladies footwear, toenails painted to match their shoes and hand bags. And what about the West’s embargo and sanctions? To KFC, Burger King and McDonald’s, it seems the business is as usual. The ordinary individual in Russia welcomes the embargo. People were getting upset about the many imports, and now Russia has geared up very quickly to becoming self sufficient developing their own industries. A young couple we stayed with in a village were into making cheeses, their product sales have gone up 60 to 75% since the embargo. A lady running a souvenir kiosk, said, "Look at my stock, it is all made in Russia now". On the other hand while visiting in Georgia, which is under US dominance, the general populace is very upset about the embargo. Georgia has a centuries old wine industry, Russia was the main buyer, and now they cannot sell to Russia. Georgia grows tons of watermelon, again Russia was the main buyer. Saudi Arabia, a US ally, is investing 10 billion US in the next 5 years in the Russian infrastructure. Putin’s goal is to make Russia 100% self sufficient in it’s food industry within the next 10 years. At the present time there is a summit underway between Brazil, Russia, India, China and South Africa to establish a new development bank, "BRIC", with an emergency currency pool, each to be armed with $100 billion, to rival the World Bank and International Monetary Fund. Russians are very conscious about their diet. A bill has been submitted to curb "Fast Food" advertising. If passed the bill would ban advertising aimed at youth, and would require that such ads be accompanied with a health warning. No advertising would be allowed withing 100 metres of gyms, medical clinics, military buildings, cultural venues, libraries or schools.